Just how should you break off an engagement? Breaking an engagement requires a delicate, sensitive touch for what is undoubtedly a painful issue, but understanding the proper way to end an engagement can help ease the breakup. While ending what should have been a happy, celebratory period is not the best outcome, when necessary it is possible to call off an engagement with consideration and maturity. Is Breaking the Engagement Necessary? Has something unexpected happened since the engagement that is making you consider calling it off? 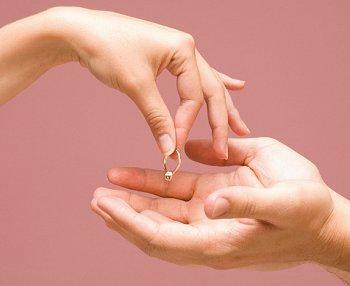 Has your fiancé committed any acts such as as cheating, lying, physical abuse, or emotional abuse? Have you both carefully considered all the right questions to ask before we got engaged? Are you the right age to get engaged and do you feel comfortable being engaged at this point in your lives? Have you discussed our misgivings to properly communicate those feelings with one another? Have you tried premarital or relationship counseling? If you answer all those questions truthfully but are still considering calling off the engagement, there are steps to take that can help you transition back to being single. Have a truthful explanation - not excuses - ready for your fiancé. Use "I" statements to share your reasons to avoid placing blame on them. Return the engagement ring to whomever purchased it, or to whichever family it belongs if it is an heirloom ring. If the ring is to be kept as a gift, verify state laws regarding engagement rings as gifts to be sure it can't become a problem later. Tell both families and any bridal party members about the broken engagement in private. They will also deserve an explanation, and while it doesn't need to be detailed, do not let them coerce you into reconsidering. Wedding or engagement gifts need to be returned. Vendor services for flowers, music, catering, etc. Appointments for fittings, hairstyling, makeup, etc. Orders for invitations, favors, attire, etc. If it is too late to cancel wedding arrangements, consider donating materials and services instead. Catering food could be donated to a food bank, floral centerpieces can be donated to a nursing home, etc. 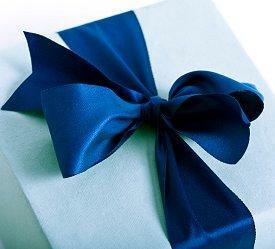 Delete any wedding or engagement gift registries and return any gifts you have received, including cash or checks, with a simple note of "thanks, but" to the sender. If wedding invitations have been sent, they need to be retracted. If the wedding date was still several weeks away, a printed note can be used with wording such as "Mr. and Mrs. X regret to inform their guests that their son/daughter Y will no longer be marrying Z. They extend their deepest apologies for any inconvenience." If the wedding date is too close to mail retractions, the couple is responsible to contact their respective families and friends personally. Settle any financial obligations jointly, such as repaying help that has been given for wedding planning or offering to repay bridal party costs. Selling wedding supplies can help offset the expense, but be aware that many vendors require nonrefundable deposits, so there will likely be some financial loss associated with the canceled wedding. Respect one another and give each other time and space to adjust to the new circumstances. While many couples who break an engagement can remain friends, it may take some time to return to a comfortable friendship after the engagement ends. By carefully taking the steps to end an engagement properly, couples can part ways with a mutual respect and understanding. While it won't be an easy split, it can be done in a thoughtful, mature way so both parties can move on with their lives. Ending an engagement is emotionally devastating, but no matter what the circumstances of the breakup may be, there are things couples should avoid calling off the engagement. Telling Lies: Do not lie about your reasons for ending the engagement; making up excuses shows a lack of respect and integrity on your part and dishonors everything about the engagement you have shared. Yelling: Getting into a heated argument will cause more hurt feelings and heartache than necessary. A calm, respectful discussion is the better option than being accusatory and inflammatory. Going Public: Do not call off an engagement publicly, such as in front of family members or friends, in a restaurant, or while on a date. The decision to end the engagement may be a shock to your partner, and it is more respectful to tell them of your decision privately. Being Impersonal: While publicly breaking off an engagement is improper, it is equally improper to do it impersonally. Never use a phone call, text message, email, or Facebook status change to end an engagement. After ending an engagement, it is necessary to take time to heal so you can be comfortable in a relationship again. Everyone is different in how long it may take them to recover from the emotional upset of a broken engagement, but until you are comfortable, do not begin dating or act like nothing happened. A good step in the healing process is to plan something special for the aborted wedding date that you would not have done with your ex-fiance, such as planning a weekend away (though not resembling the honeymoon you won't be taking). In time, if you have taken the proper way to end engagement plans, you will be emotionally and romantically ready to move on and enjoy the love the right relationship for you can hold.